The Jerusalem Post has confirmed it was told to remove a story on Israel providing weapons and supplies to anti-Assad factions fighting in Syria by the Israeli army's military censor. It's been long known that Israel has assisted armed groups seeking to topple the Syrian government, especially those operating in Syria's south and along the Golan Heights region throughout the past years of the war. But the report, ‘IDF confirms: Israel provided light-weapons to Syrian rebels,’ is the first time the IDF publicly acknowledged the program, which involved the transfer of significant amounts of cash, weapons and ammunition to militants operating near the border with Israel. The bombshell report was removed from the Jerusalem Post's website a mere hours after publication, but can still be accessed using Google cache. 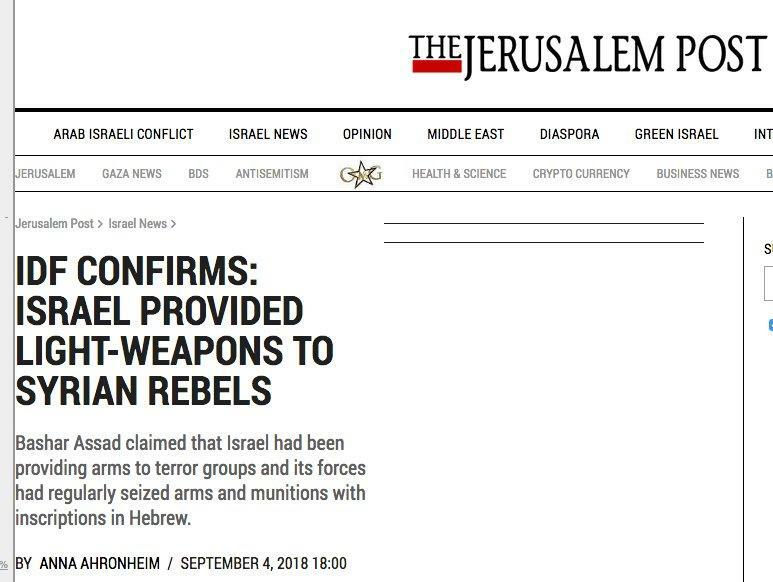 The now censored article explicitly negates prior claims by the IDF that it had not intervened in the war in Syria, and further confirmed that prior charges made by President Assad that the Syrian Army had routinely recovered weapons and supplies with Hebrew inscriptions from insurgent positions were in reality accurate even though widely dismissed at the time in international media. The cached piece begins by highlighting that "Bashar Assad claimed that Israel had been providing arms to terror groups and its forces had regularly seized arms and munitions with inscriptions in Hebrew." And it goes on to confirm that this was indeed the case, saying the IDF "on Monday confirmed that as part of Operation Good Neighbor Israel had been regularly supplying Syrian rebels near its border with light weapons and ammunition in order to defend themselves from attacks and a substantial amount of cash to buy additional arms." 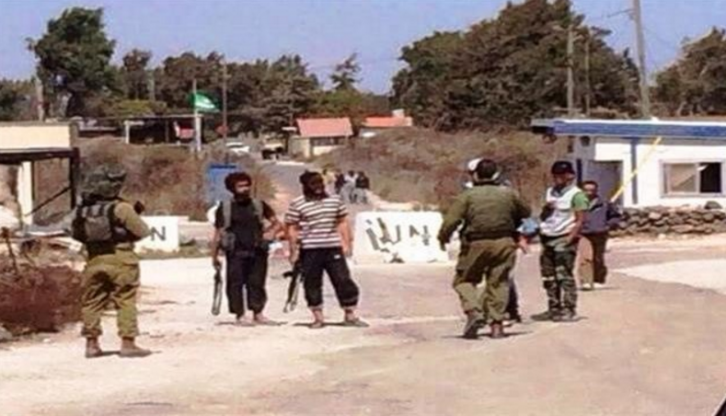 A prior widely circulated photograph showing IDF soldiers at a border checkpoint speaking to al-Qaeda linked (Nusra) insurgents. The report further detailed that "Israel had been arming at least seven different rebel groups in Syria’s Golan Heights, including the Fursan al-Joulan rebel group which had around 400 fighters and had been given an estimated $5,000 per month by Israel." The IDF had called its long-running assistance to the groups, many of which have had an established history of cooperation with al-Qaeda, "the right decision". Meanwhile, in a separate Jerusalem Post story published at the start of this week, the IDF admitted that Israel has carried out over 200 strikes on targets inside Syria during the past year and a half. The report claimed these were primarily missions against Iranian targets and assets in the country.